Program for video recording and reencoding. It captures video from cameras, files, urls, screen, set of images. 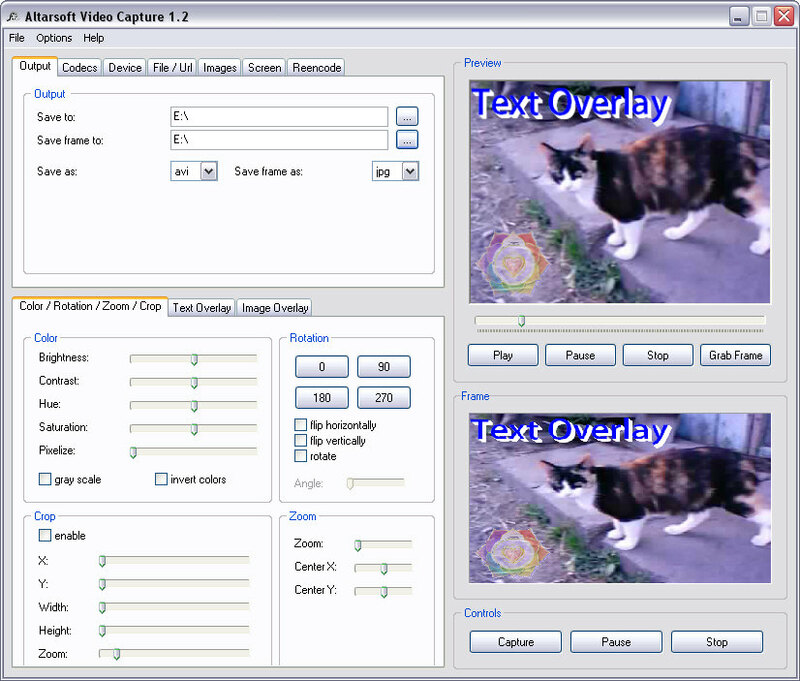 It allows to adjust video color, rotation, zoom, crop. You can easily add text or image to video. - software is freeware now.